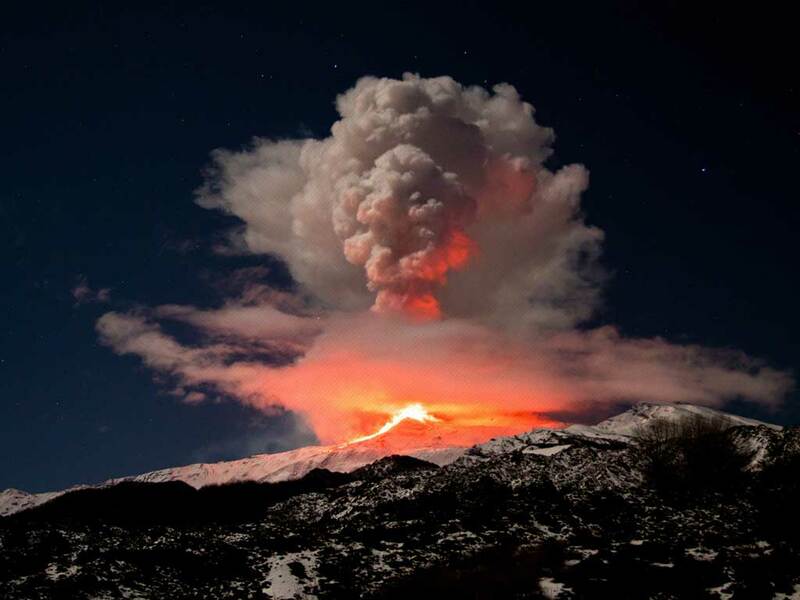 Etna Walk published a magnificent photo on their Flickr pages. If you wish to see more photos visit their photo album at: http://www.flickr.com/photos/etnawalk/ A big thank even to Fabio Santanocito (Geo Etna Explorer) who was first to advice us about activity. Second training session on Etna for Team Lampre after great results they had in Tirreno-Adriatica. It is thanks to their presence (and presence of Team Katusha as well) If we will offer a free wellness center to all our guests this year. Team Astana and Team Liquigas preferred Rifugio Sapienza, instead. Pit crater on Sud Est crater’s side is warming up. In past days it was possible to observe ash emission and some red during the night.